Combine cornflour ,pepper powder and salt to taste with enough water to form a thick batter. Add the tofu cubes into this batter and mix carefully. Drain this onto a kitchen towel and keep aside. Now heat oil in a pan , add ginger , garlic and green chilies and saute till raw smell leaves. Add chopped onion and spring onion.Saute till onion turns translucent. Add red chili powder and saute for a few seconds. Now add soya sauce and tomato sauce.Stir well. Add the fried tofu cubes and mix until combined. Switch off the heat ,garnish with chopped spring onions. I make tofu a lot because my husband is japanese. I like this recipe. Hugs from Rome! Very nice recipe & the presentation is awesome. Very beautifully presented. Lovely presentation, this looks so mouthwatering...Yummy! Looks really yum..Thanks 4 the recipe!! 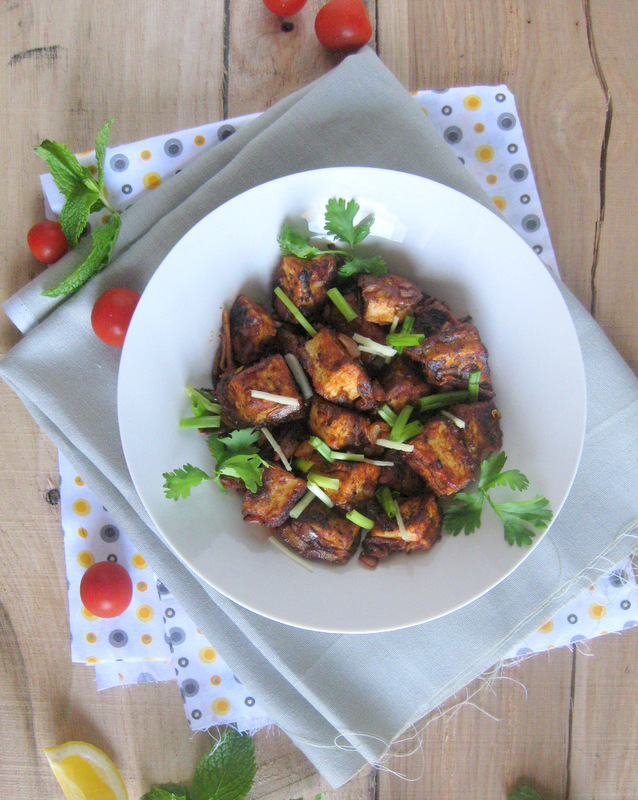 Wow chilli tofu looks fabulous,a prefect starter for a party menu. Yum Yum.. What a perfect appetizer.. and those clicks are killer!! 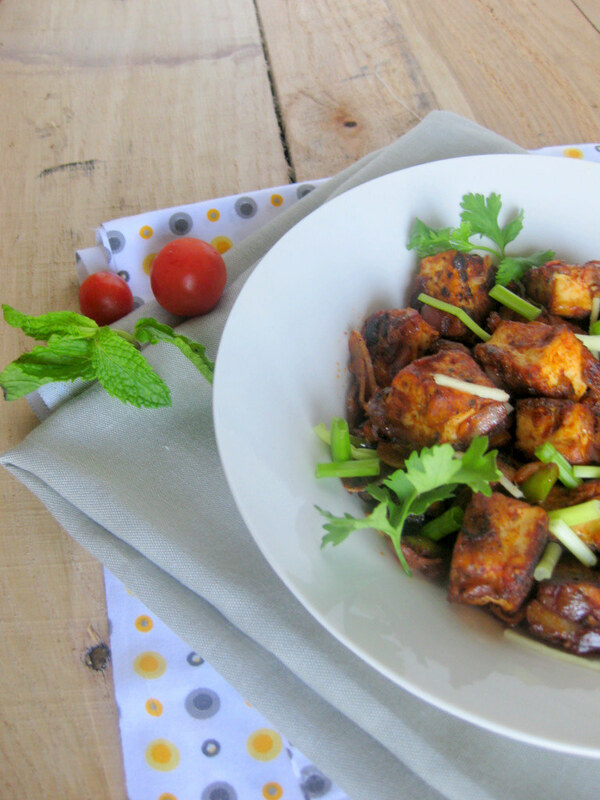 chilli tofu looks real yum, wonderful recipe..
Real delicious n yummy yum!! 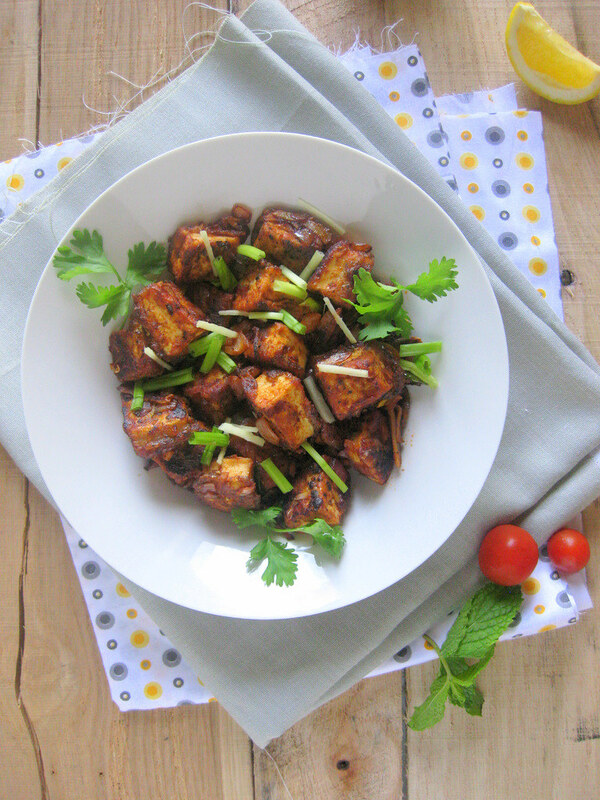 chilli tofu looks so perfect and yummy...nice pictures n well presented!! Lovely recipe. 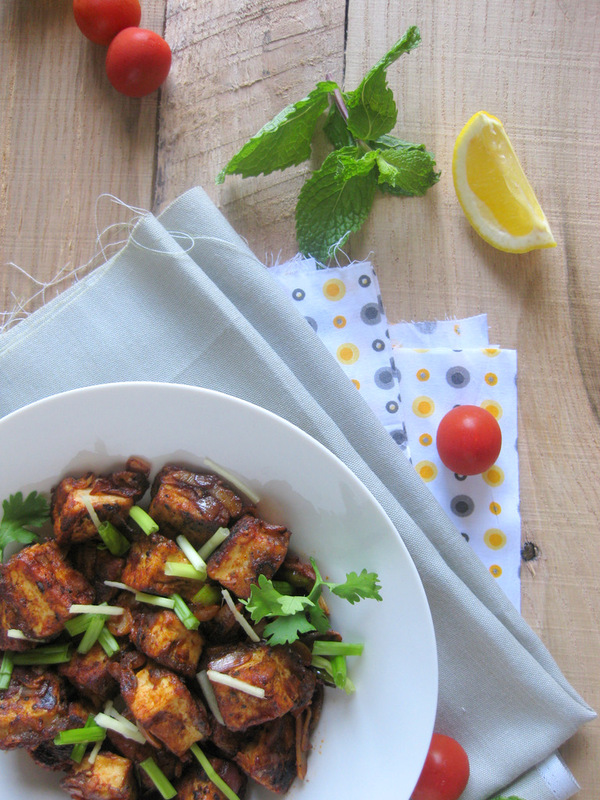 Chilli tofu looks spicy, yummy and tempting. I do not like tofu but with your tempting clicks you are seriously tempting me. I've always felt tofu has a kinda tangy aftertaste...mayb the dishes I tried were such....these Chilli Tofu bites look very tempting!! Shud try them sometime! Thanks for stopping by my space! I never tried tofu at home. but I prepared chilli paneer and hope it tasted like tofu. love it. One of my absolute fav!! Got a packet of tofu in the fridge for making chilli tofu..Your version looks too tempting!! Looks fabulous! 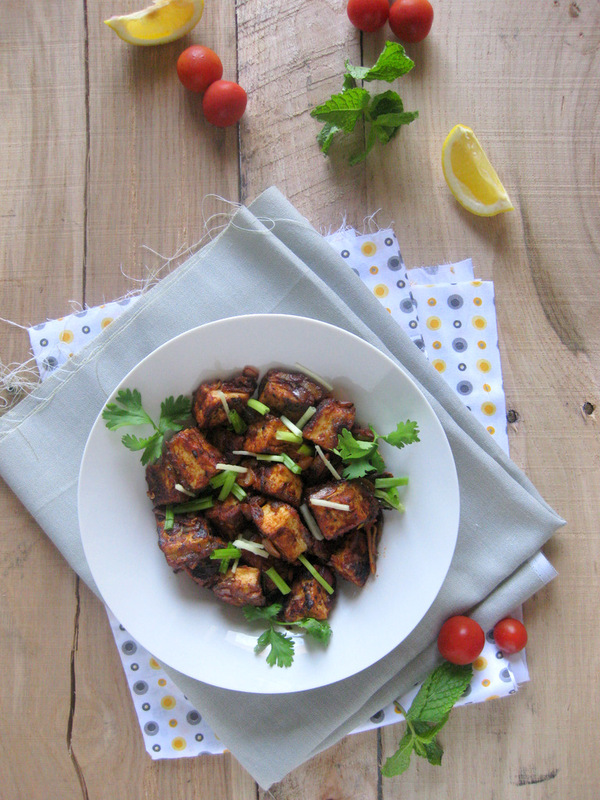 I am a big fan of tofu and would love to try this recipe out. Looks delicious! Nice pics too! Great recipe... Love the pictures! 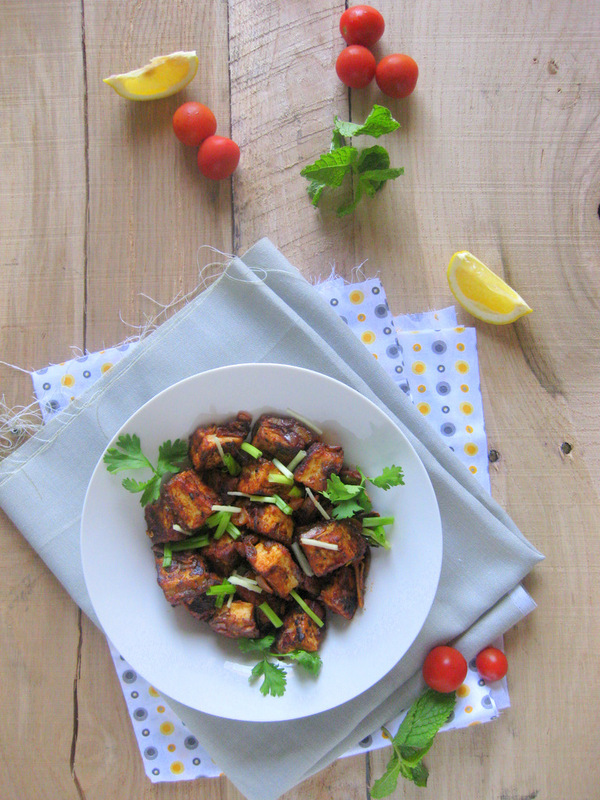 Am yet to like tofu.. Used this recipe for paneer and it turned great. Awww after visiting Shanghai this vacations Im totally into Tofu.. Im so happy that they are slowly putting it in normal prices to markets in Poland aswell! This recipe seems to be yummy, Ill try!